In the United States, most employees are hired “at will,” meaning that there is no fixed term for their employment and both the employer and employee can terminate the working relationship at any time. However, there has to be a fair reason for an employer to fire someone, otherwise it is considered an unfair dismissal and the employee may have grounds to take legal action. The following are a few examples of unfair dismissal. Some employees sign a contract when they start their term of employment which states the various things that are expected of them and any possible reasons for which they can be fired. 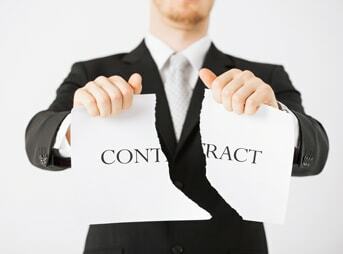 If an employee is fired contrary to the conditions set out in their contract, it is considered an unfair dismissal. Similarly, if their dismissal contravenes a general company policy an employee may have grounds for legal action. Employees in the United States are protected by State and Federal legislation against discrimination based on age, gender, religion, skin color, race, sexual orientation, political affiliation or country of origin. Being fired for discriminatory reasons is considered an unfair dismissal and a very serious matter. Losing your job as retaliation for revealing illegal or unsafe working practices is regarded as an unfair dismissal and there are several State and Federal laws designed to protect employees against it. Similarly, it is illegal for a person to be fired for exercising their rights in the workplace or for refusing to perform illegal activities. Having your employment terminated due to lies that your employer has spread about you is considered defamation and unfair grounds for dismissal. The more evidence you have proving that lies have been spread, the better your chances are of winning an appeal against your dismissal. If an employer makes your working conditions unbearable and you are forced to quit as a result, this is regarded as a constructive discharge on your part and effectively an unfair dismissal. Proving that you were forced out of a job in this way can be quite difficult and will require a large body of proof. If you believe that you have been unfairly dismissed from your job, contact the US Department of Labor for more information regarding your particular situation. It is also wise to talk to a lawyer immediately, as there is often only a small window of time for you to take legal action. The above tips are brought to you by James Sadigh, a personal injury lawyer Los Angeles. James Sadigh has a long and proven record of winning cases for victims of car accidents, dog bites, slips and falls, unfair dismissal and other mishaps that can be proven to be the result of someone else’s negligence or malfeasance.